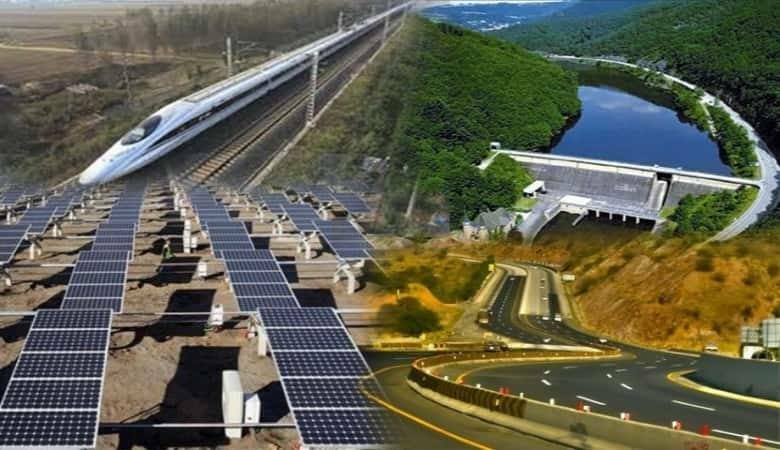 Beijing – The China-Pakistan Economic Corridor (CPEC) has become one of the earliest, fastest-moving and most effective projects under the Belt and Road initiative. Of the 43 projects confirmed at the beginning of the corridor, 20 are under construction or have been completed. “Another 157 projects in the corridor will be gradually completed in the next 12 years,” Zhou Rong, a senior research fellow with the Chongyang Institute for Financial Studies at the Renmin University of China told Global Times on Tuesday. As a major pilot project of the Belt and Road initiative, the corridor has been lauded by the Pakistani government. Driven by the corridor construction, Pakistan’s rate of economic growth rose to 5.97 per cent last year from 3.5 per cent in 2013, ranking top in Asia. As long as the corridor projects advance smoothly, economic growth can rise up to 9.0 per cent, he added. He said the corridor construction has created nearly 60,000 direct jobs in Pakistan. It is expected to create 700,000 jobs in the country by 2030. If related industries are counted, at least 3.5 million jobs will be created, benefiting millions of families. Many Pakistani employees have been sent to China for further study by Chinese-funded enterprises and will soon become the leading figures of the new generation overseeing Pakistani industrialisation. On the other hand, although the Pakistani government and the military have been doing their utmost to protect the security of the CPEC, there are reports discrediting it by West-driven English language media, he added. Rong said there have been rumours that the corridor will follow the old roadmap of the British East India Company and lead to a new colonisation of Pakistan; China has sent a large number of prisoners to Pakistan to work on the construction in order to save labour cost; China only focuses on Punjab province; China won’t offer preferential trade policy to Pakistan; the industrial park has become a special economic zone exclusive to Chinese capitals. All these rumours have had a negative impact. China has responded to these rumours on several occasions. All Chinese engineers and technicians working in Pakistan have obtained the consent of the relevant departments of both governments. Beijing has never sent a person with a criminal record to work in Pakistan and has called back all Chinese people who have violated discipline in Pakistan. China did not send any soldier to Pakistan, nor build any military base in the country. The research fellow said that China respects Pakistan’s social and economic development and has never insisted on completely equivalent reciprocity. It continues to provide Pakistan with preferential treatment in terms of trade. China has not stopped non-Chinese companies from entering the China-Pakistan economic free zone and has no reason to do so. And China prefers certain provinces in Pakistan because they have a good development record with a high degree of safety. China and Pakistan should work together to curb the false reports on the CPEC through in-depth and multifaceted cooperation and build a good media corridor in between. Writers and intellectuals from both the countries should also join hands to explore positive stories in the corridor. “I strongly agree with the China-Pakistan Life Rescue Corridor that is being built. We can also build corridors on employment and industrial parks so as to increase cooperation between bilateral enterprises and interaction between Pakistani and Chinese people,” he added. He opined the rapid construction and development of the corridor is not possible without the full protection and support of the Pakistani government and army.